We are in your neighborhood and available to answer any questions you have about your health insurance options. We’ll help you find out if you’re eligible for free or low-cost health insurance and help you enroll. 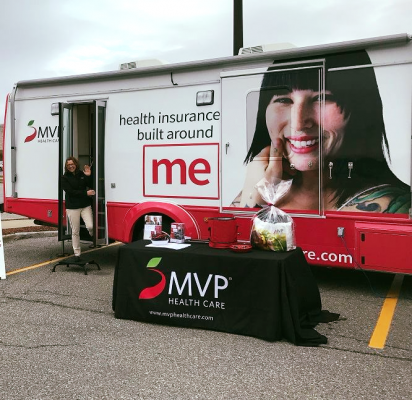 Look for the MVP Mobile Enrollment Center at Crossgates Mall, EVERY MONDAY 11:00 am – 6:00 pm located in the Café Court parking lot next to the bus shelter. Walk-ins welcome. To make an appointment, call 1-800-Talk-MVP.